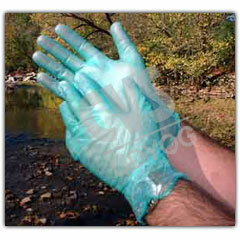 Made of lightweight vinyl, these flexible, durable, chemical resistant gloves are available in two thicknesses. 50 pairs per box. 607-023 5 mil White, Med. 4 lbs. 607-024 5 mil White, Large 4 lbs. 607-025 6.5 mil Green, M ed. 4 lbs. 607-026 6.5 mil Green, Large 4 lbs. 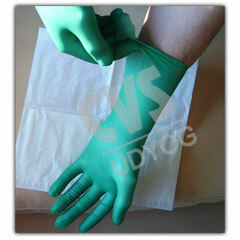 Owing to our efficient workforce, we are able to offer Examination Gloves that are hygienically manufactured and packed and also be sterilized. We manufacture these gloves using superior quality rubber to ensure long lasting comfort and durability. 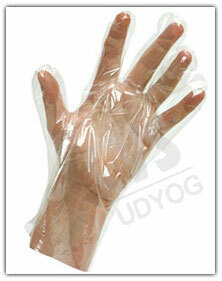 To meet the specific requirements of our clients, these gloves are available in both smooth as well as rough texture.